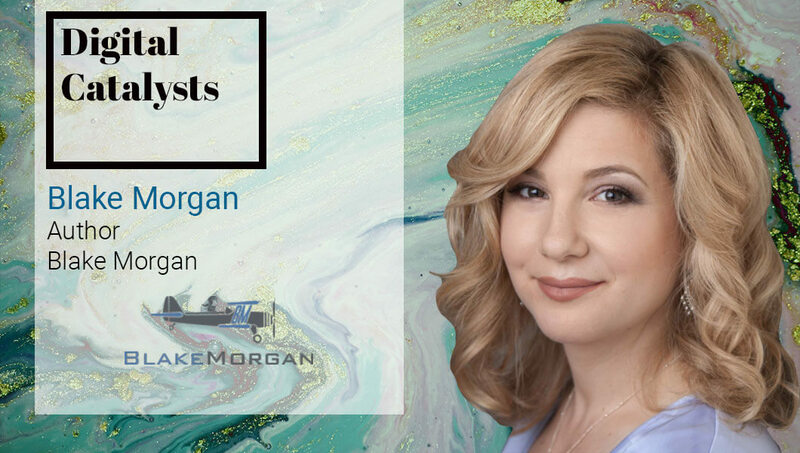 In this interview, customer experience futurist and author, Blake Morgan discusses technology and it’s impact on CX and, AI’s potential to scale personalization like never before. Blake is adjunct faculty at the Rutgers executive education MBA program. Blake contributes to Forbes, the Harvard Business Review and Hemispheres Magazine. She is the host of The Modern Customer Podcast and a weekly customer experience video series on YouTube. Blake is currently working on her second book with HarperCollins on customer experience technology. She lives in the Bay Area with her husband, daughter and their two dogs. Tell us a little about yourself and your specific role? I am an author and speaker on the topic of customer experience. Many of my clients ask me to talk about technology, and the way it will impact the future of customer experience. Industries such as insurance and healthcare are eager to stay ahead of the changes that innovation in technology will bring their industries. Using technology to effect transformation usually starts with a transformation of beliefs and mindsets. How do you consult clients and help them make that important shift in mindset to move ahead on a particular project or implementation? I am a speaker, so when I am brought in it is usually to inspire a customer experience mindset – to illustrate the way the world is changing, and what customers expect from brands today. People want to know the way modern companies are leveraging technologies like AI, machine learning, IOT, augmented reality to create a more powerful customer experience. AI promises to scale personalized customer experience in a way we haven’t seen before. Because of advances in deep learning, we are now able to teach software to listen, act and respond to the customer in a way that was not possible before. We’ve been providing very inhuman experiences to customers, however machine learning actually promises to make customers feel more like human beings than a human being could make them feel. It’s this personalization piece that machine learning and AI can truly excel at. I am currently reading a book called The Sentient Machine by Amir Hussain which I find fascinating. I subscribe to futurist Peter Diamandis’ newsletter and I read constantly. I really enjoyed reading Jeanne Bliss’ new book “Would You Do That To Your Mother?” which is all about the heart of customer service. There are great stories and lessons in there. I am about to embark on writing my own book on customer experience and how technology will shape the future of customer experience.